The creation of some 30 independent "physician groups" (Yisheng Shoutuan, 医生集团) is the first sign of the Chinese government's 2015 relaxation of working regulations for the hospital system. The rules have been relaxed to allow "workforce fluidity" - in other words to allow doctors to work where they wish rather than being bound to a single hospital ( a legacy of the old danwei work unit system). he Chinese Nationa Health and Family Planning Commission (NHFPC) wishes to create a more flexible workforce and to allow doctors to work in a more more market-oriented system, supposedly to free up medical talent and overcome the current mismatch in supply and demand for medical services. It is still early days for these doctor groups, which face problems such as how to engage with hospitals, how ensure high quality medical standards and how to take on medicolegal risk (and insurance). These are things that are usually the responsibility of hospitals and something that doctors have not had to worry about in the past. 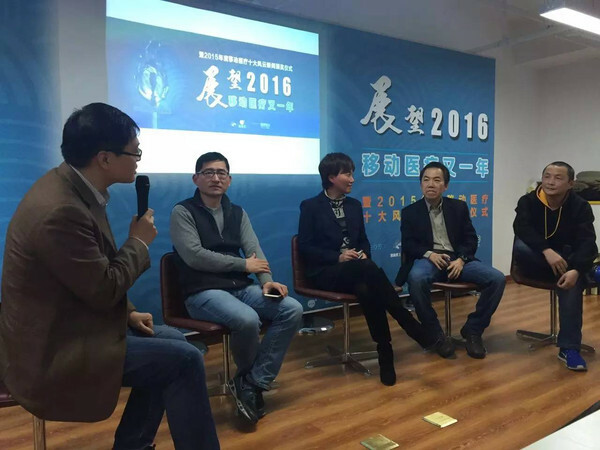 To try tackle these issue the Beijing Henghe Hospital has set up a "doctor group collaboration model platform" to try work with doctors towards new ways of working. The group has already started to look towards the US for business and working models for doctors. Initial discussions have revealed that 55% of hospitals have doctors doing some form of 'moonlighting' - and therefore the doctor groups may formalise this working model. Another survey found that many talented young doctors were leaving the hospital system because of the long hours, high pressure and low pay. A new freelance model may help retain the skills of these doctors, the collaboration discussion group said. However, other doctors have pointed to the fact that the vast majority of doctors continue to work in the public hospital system, and they say this system (and its workforce) is already stretched to breaking point. They ask how the public system will cope if many of its 'backbone' doctors reduce their commitment to practising in the hospitals - and also the reduced input in areas such as teaching and mentoring. The group heard from some leading doctors saying there now had to be a pragmatic approach to developing Doctor-Hospital Partnerships to ensure optimum allocation of medical resources and also recognise the true value of doctors. 1. Doctor groups are a very vaguely defined concept. 2. Policies have to be open, pragmatic and work with the health ministry and hospitals. 3. What size should doctor groups be? How much will they be worth? And what disciplines will the consist of? 4. How will doctor groups be organised? As private companies? Co-operatives/ Joint ventures? 5. Where will doctor groups be located? In private hospitals? In large institutions or be in stand-alone clinics? Or as flexible visiting doctors? 6. If doctors join freelance groups [how] will they maintain their participation in academia, teaching and research? 7. How will doctor hierarchy and work assignments/responsibilities be arranged in private groups? In the public system there is a clear structure and system of rosters, promotion and responsibility - how will this translate in private groups? 8. How will private doctors interact and communicate online and digitally, if they do not have the support of the government and hospital system? Will there be referrals and shared care? 9. How will freelance doctor groups be financed and where will they find their start up capital from? If there is a share ownership, who will own the shares and control the doctors? 10. Will private doctor groups have clout? For example, in medical insurance will doctor groups have enough buying power and negotiating strength to be able to arrange medicolegal cover, settle medical disputes and influence policy?